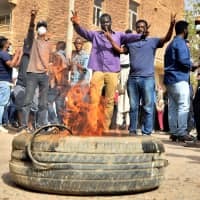 KHARTOUM - A doctor and a child were killed Thursday during protests in Sudan’s capital, organizers of the anti-government demonstrations said, as police dispersed a crowd of hundreds marching towards the presidential palace. 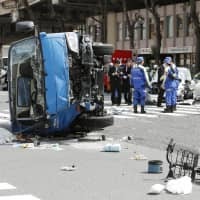 At least 26 people have died in protests that have rocked Sudan since they first erupted on Dec. 19 after a government decision to raise the price of bread. People also took to the streets in the Red Sea city of Port Sudan, in the provincial town of Gadaref and in the agricultural hub of Atbara, where the first protests broke out on Dec. 19. 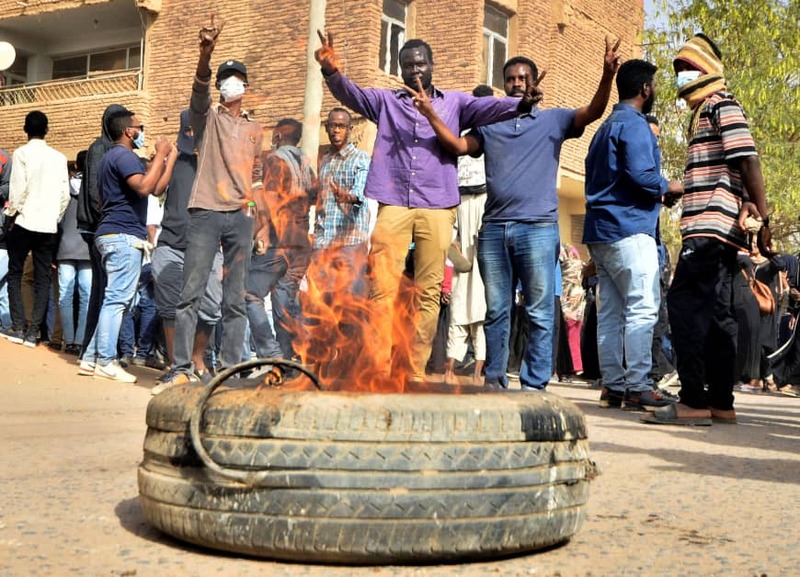 People also took to the streets in the Khartoum’s northern district of Bahri, where burned tires and piles of garbage blocked streets to traffic, witnesses said. Al-Bashir has blamed the violence during the demonstrations on “conspirators” working against the interests of the country, without identifying them. U.N. High Commissioner for Human Rights Michelle Bachelet on Thursday condemned Sudan’s “repressive response” to the anti-government demonstrations. “I am very concerned about reports of excessive use of force, including live ammunition, by Sudanese state security forces during large-scale demonstrations in various parts of the country since 19 December,” she said in a statement. The U.N. Security Council too called on Sudan to respect the rights of protesters and investigate the violence. 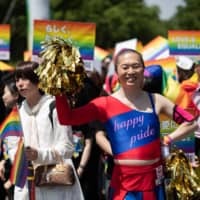 “We are appalled at reports that security forces have used tear gas and violence within hospitals against those being treated and against doctors providing medical assistance,” said British Deputy Ambassador Jonathan Allen on Thursday. Despite the tough response, the protest movement has grown to become the biggest threat to al-Bashir’s rule since he took power in an Islamist-backed military coup in 1989. The protesters accuse al-Bashir’s government of mismanagement of key sectors of the economy and of pouring funds into a military response Sudan can ill afford to rebellions in the western region of Darfur and in areas near the border with South Sudan. Sudan has suffered from a chronic shortage of foreign currency since the south broke away in 2011, taking with it the lion’s share of oil revenues. A defiant al-Bashir has dismissed calls for his resignation but acknowledged the country faces economic problems for which a slew of reforms were being planned.